Are You al Payzapp user? Then Here is a good offer for you. PayZapp is just raining with its superb deals and now it is offering Flat Rs 100 cashback on 1st Transaction worth Rs 250 on PayZapp. So, Hurry up!! Customer must apply the promo code: ” PAYZAPP” on PayZapp payment page. How to get Flat Rs 100 cashback on 1st Transaction worth Rs 250 on PayZapp? 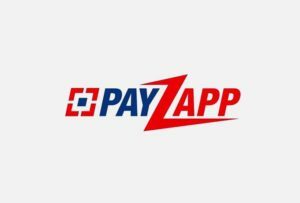 Use – PAYZAPP promo code at PayZapp payment page. 1. FLAT Rs.100 cashback on 1st shopping or payment tranx on payzapp with min tranx of 250. 2. Max cashback Rs.100 per customer. 3. Customer must apply the promo code : ” PAYZAPP” on PayZapp payment page. 4. Cashback to processed within 7 Working Days. 5. Offer validity: 1st – 31st Oct 18. 11.) In case the transaction is canceled or left undelivered at merchant’s end(not PayZapp), a refund will be initiated within the next 10 working days. 12) Cashback will be posted to customers only if their KYC is complete at the time of the transaction.